I think the frigid weather we have been experiencing these past weeks has given me <creative> brain freeze. And, to be honest, it's really bothering me. Sure, I've been doing my regular pinning on Pinterest, as well as perusing others' blogs, but nothing lately has thrilled me too much. At least, not enough that I had the urge to do my own take on anything in particular. 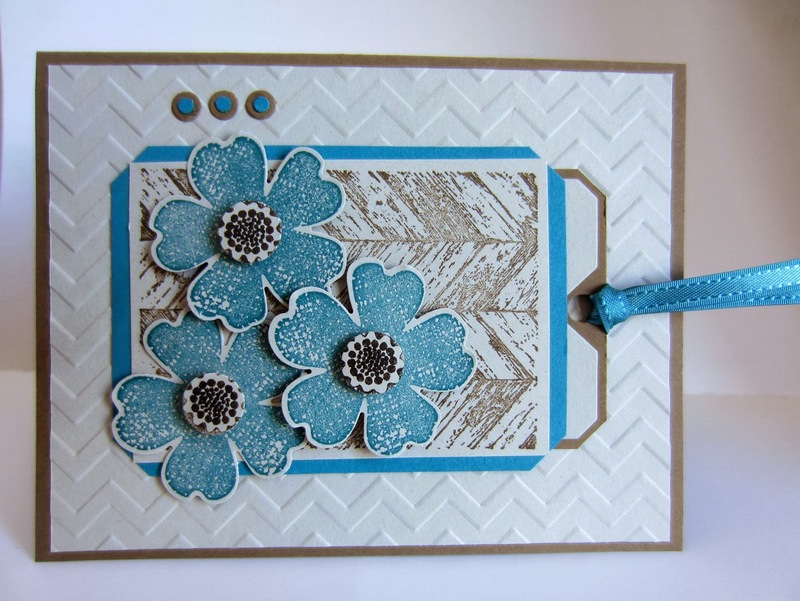 The colors, even though the photos don't show it accurately, are Sahara Sand, Soft Suede and Island Indigo, with the centers of the flowers being a bit darker by using an Early Espresso Stampin' Write Marker to give them a bit more definition. 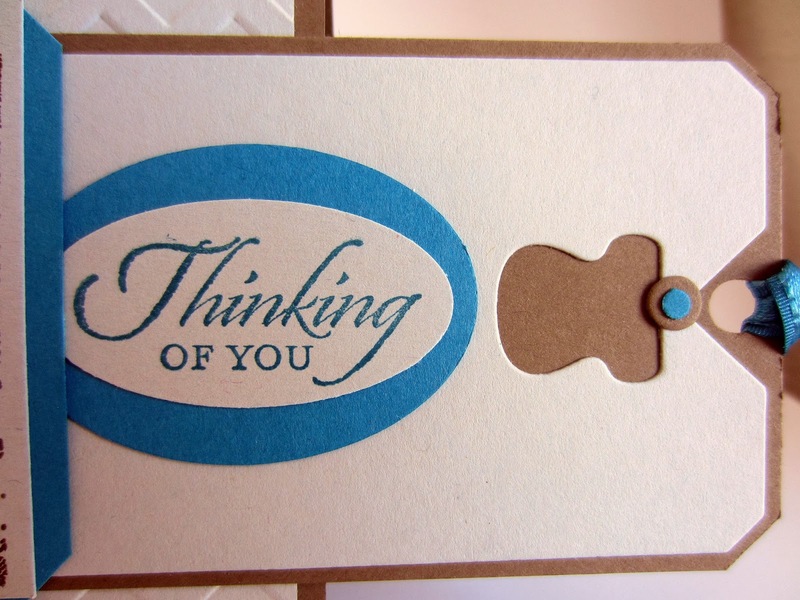 Although I love the card "closed" as shown above, the sentiment on the little pull-out tag is really cute too. Thanks, Paper Players, for giving me a much-needed kick in the pants! Fantastic card, Linda! Love the colors and all your texture. The spray of flowers is a perfect peek of spring on a cold winter day! So glad you could give you a kick in the pants, lol! Thanks for joining us at The Paper Players! Very pretty card. 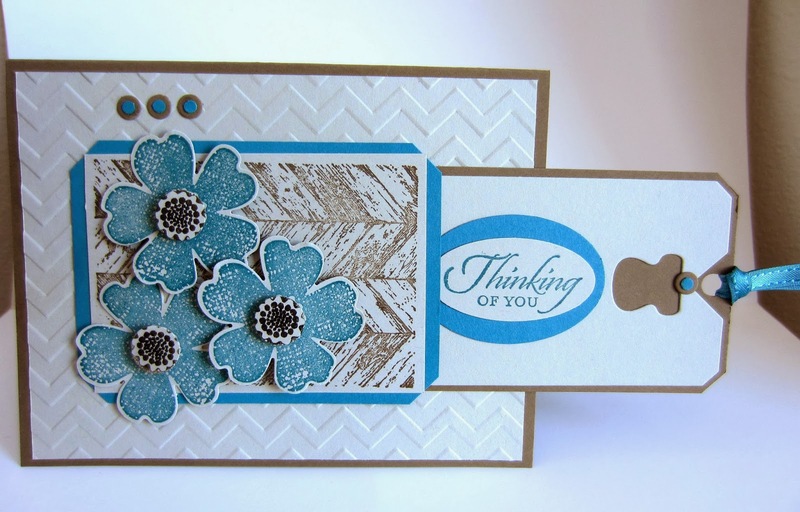 Love the textured background for your flowers. The card is great! I love the colors you used. Brain freeze must be what I have too. Haven't made any cards the last few months! 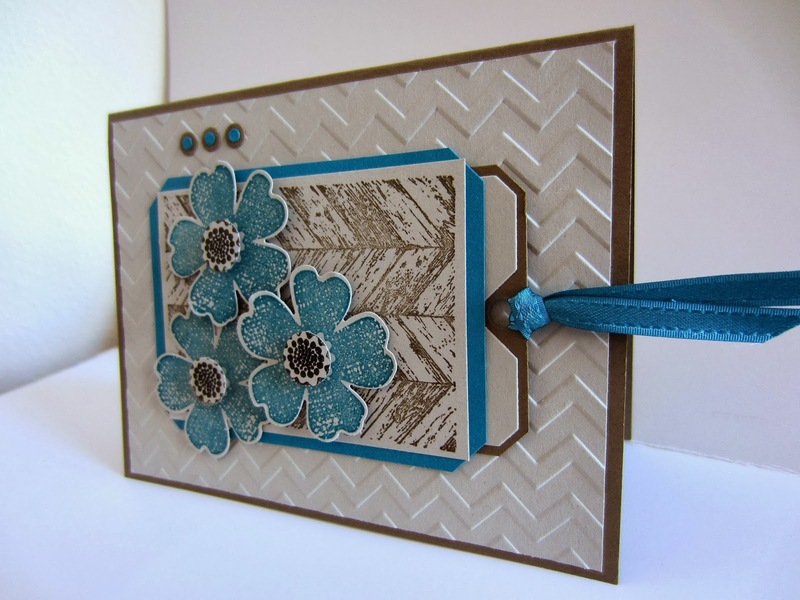 I love your pull out card - very pretty indeed! 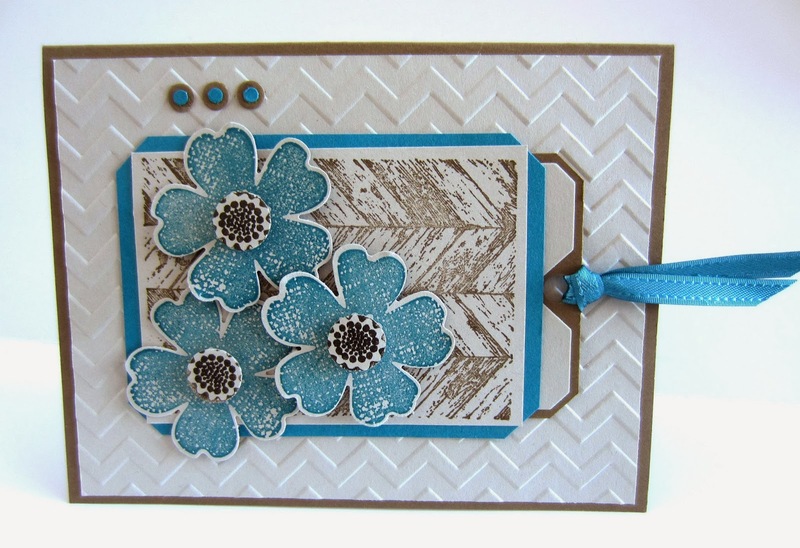 This is a lovely card...I love how you used the chalk talk die for your tag, and the colors are nice together too! Thanks for playing with the PP sketch this week! So pretty! I love the pull out tag. Thanks for linking to the In and Out of the Kitchen Link Party. Hope to see you next week.